Spar urethane is a protective and durable surface coating for wood. Application to wood surfaces, both indoors and out, prevents wood damage from the elements and allows wood's natural beauty to show. 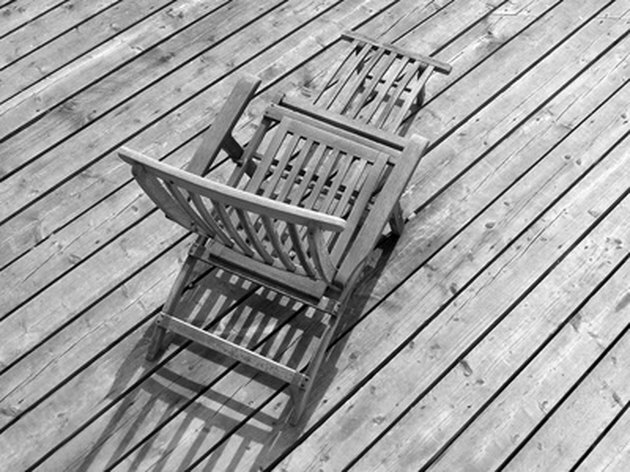 Spar urethane contains oils that allow the finish to expand and contract without cracking, bubbling or chipping, making it a good choice for boats, patio furniture, woodwork and wood trim. If there is a heavy buildup of spar urethane on a wood surface, removal before recoating is best. Remove old finishes and restore wood's beauty. Apply a thick coat of paint and poly remover to the wood surface with a paintbrush. Brush the chemical stripper in one direction only. If the surface has intricate carvings, use a spray paint and poly remover. Allow the chemical stripper to remain on the surface according to the manufacturer's recommendations, generally 20 to 30 minutes. Scrape the spar urethane off the surface with a flexible plastic scraper. Do not use a metal scraper, as this will damage the wood surface. Wash the surface with a mild detergent and rinse thoroughly to remove chemical residue. What Is the Purpose in Using Polyurethane in Woodworking?